Fall comes with hot cocoa, snuggly cardigans and… dry skin. As the leaves change, you may also notice a change in your skin’s level of moisture. The cold air and harsh winds can leave your pretty face feeling parched and itchy. Battle the fall weather with these easy DIY facemasks that will leave you moisturized and glowing! The two main ingredients in this mask are majorly beneficial. 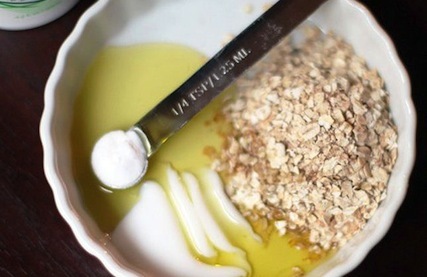 Oatmeal can help normalize your skin’s pH level to relieve any itching or dryness, where olive oil is a gentle face moisturizer packed with vitamin E to keep your skin looking and feeling fresh. Your skin will surely glow after this one! Combine all ingredients together to form a creamy, thick paste. Let the mask sit for 10 minutes before gently washing it off with warm water. Be careful. Don't scrub too hard or it may irritate your skin! The honey will naturally moisturize your face, while the nutmeg and cinnamon work to reduce blemishes and pesky bacteria that can cause breakouts. 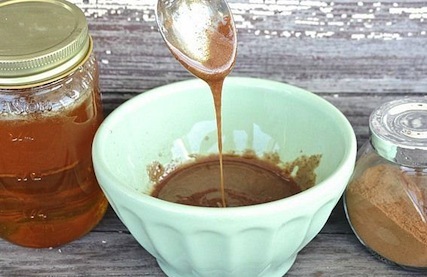 Simply stir the nutmeg, cinnamon and honey together and apply to the face. After gently scrubbing, let the mask sit for 20 minutes before washing away the yummy-smelling goodness. 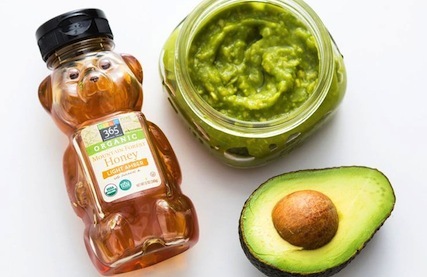 Along with honey, avocado is known for it’s moisturizing and softening properties. The super fruit also contains vitamin E which helps reduce itching and sooths rough skin. Cut 2-3 avocados in half and discard the pits. Using your hands, mash the avocado up into a paste. Add ¼ cup of honey to the mix and stir together. Put the mix in your fridge for a day and then it’s ready to use. Place on skin for 15 minutes and rinse with cool water.